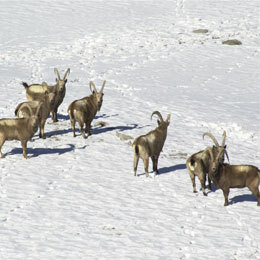 Kyrgyzstan is famous for Ibex hunting. This type of Ibex is the most popular in the world because of its average horns size – 115 – 120 sm. For most of Kyrgyzstan hunting trips horses are used for transportation in the area to increase the success chances. Expect extensive horseback riding 8–10 hours a day and considerable walking. Some riding experience is a must. During the day you will explore the upper edges of the mountains and examine the hillsides and feeding areas through the field glasses. A temporary tented camp is set up with the specific goal of hunting a particular animal or area. 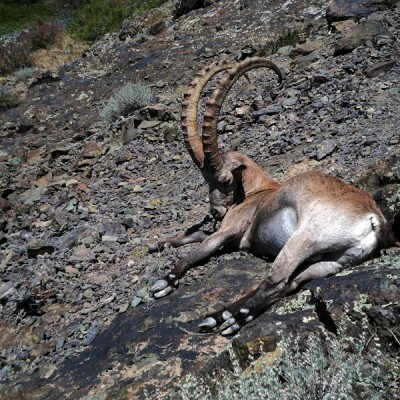 Rams are generally located in remote country at 4 000 m. Once the trophy is spotted you complete your stalk on foot. 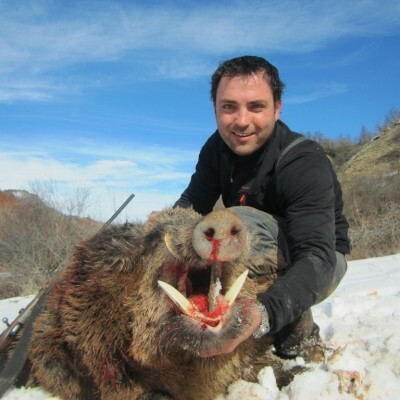 Physical condition is an important factor in the stalking part of the hunt. Long range shooting, up to 400 m is usual. They are traditional Asian yurts or wooden cabins with cots. They are warm, clean and comfortable with separate areas for dining, bathing and sleeping and have electrical generation. You will find good food and quality service. Please note that spike camps are used intensively. 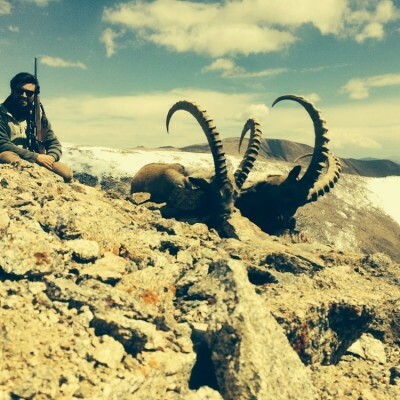 Usually weather is quite favorable and predictable in this region during the hunting period. During daylight hours in October the temperature is from +5 to +15C and at night from -10 to -5C. In November the temperature is from -10 – -5C and during nighttime from – 20 to -15C. Expect chilly morning and evening, windy conditions. The most convenient and reliable way to get to Bishkek is by Turkish Airlines via Istanbul, Turkey. Our representative will meet you at the airport of arrival and assist you through the customs. We will do everything possible to expedite the customs procedure. You will be transferred by car to the hunting area. The transfers last from 4 to 10 hours depending on area. Wounded and lost animal – no refund! ADDITIONAL TROPHIES should be booked before the hunt. Meeting up and drop off at the airport, rifle permit, All transportation to and from the hunting region, Accommodation and food in the camp during the whole tour, Service of professional guide, All serving staff including one interpreter group/ camp, Trophy care in the camp and packing for shipment. 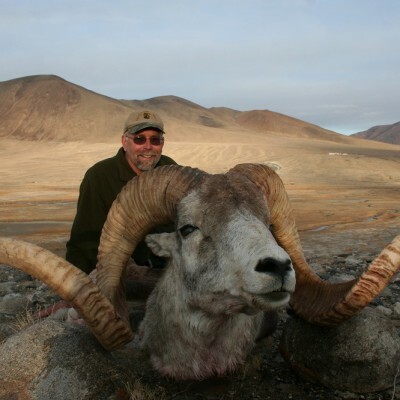 Airline ticket to/from Bishkek, Items of a personal natur, Hotel and meals in Bishkek, Excess luggage payment charged by airlines, Sightseeing program, vip service in the airport 100€ per way, The cost of any extra hunting days, Non hunter fee, tips,trophy shipment.